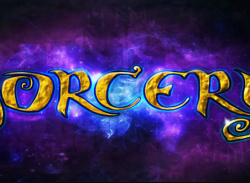 News E3 2011 MIA: What Happened to Sorcery? Zindagi Games' next title after the top notch Sports Champions isn't the expected sequel: instead it's the co-operative adventure Medieval Moves: Deadmund's Quest, and here's the first trailer. Expect to see Deadmund making his rib-tickling appearance on PlayStation 3 later in the year. Of course, now's the time to start building hype for next year's event, which kicks off June 5th-7th 2012. According to Joystiq the event will stay in L.A. for the next couple of years, with the Los Angeles Conference Centre booked up for the.. The game will retail for $15. The game's in development at WayForward, a studio well known for its pretty, two-dimensional visuals. Guess what? BloodRayne Betrayal has pretty, two-dimensional visuals. 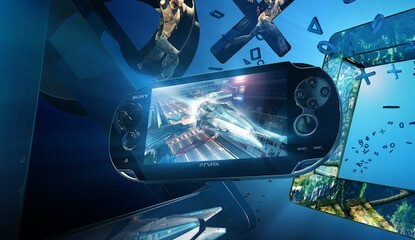 According to IGN, Sony Wordwide Studios Europe boss Michael Denny has revealed that the PlayStation Vita is region free to the "best of his knowledge"
This is obviously a huge point of interest, as it means you'll be able to import and play games on your device without needing a specific system. The 3DS is region-locked. Let's hope Denny's knowledge is spot on, eh? As Brits, we're thinking "thank goodness for that". Twisted Metal is all about balls-to-the-wall mayhem with the deeper, technical layer hidden beneath all the carnage. We'd never want Jaffe to take that away. What were not going to do is go how do we..
No hard details were shared by Konami, but we're a touch nervous about the addition. We were hoping Book Of Memories would be a narrative driven experience enhanced by PlayStation Vita's touch controls. Multiplayer..
EA Games label president Frank Gibeau has described Respawn Games' new title as a "sci-fi shooter"
The publisher also confirmed plans to rotate its military shooter series' annually, with Medal Of Honor and Battlefield releasing on alternative years. In general were going to continue to follow our rotation strategy of giving studios a full two-year cycle to get a game built and polished to..
Namco Bandai's announced a new package today, including an updated version of Tekken Tag Tournament alongside the new Tekken Blood Vengeance movie. The content will be available on one Blu-ray disc entitled Tekken Hybrid. We will buy this bundle. Sane people: there's no news on whether Tekken Tag Tournament will be available.. It's not exactly a feature Need For Speed fans have been crying out for, and it looked shoddy in the game's E3 demonstration. Settling somewhere in-between Heavy Rain and last year's Need For Speed: Hot Pursuit, The Run is a cinematic racing game behind-the-wheel, but a Dragon's Lair impersonator on-foot. To.. It's packed with shower scenes and murdering. Lots of murdering. The game's out next year on PlayStation 3. The quirky puzzle title will share online leaderboards with the PlayStation 3 version of the game, as well as including new modes, enemies and power-ups. News Fancy Buying A Digital Version Of inFamous 2? It'll Cost You! Expect to pay £49.99 for the convenience. Before you jump into the comments moaning about rip-offs and what-not, Sony obviously can't undercut their retail partners for obvious reasons. Until one of the platform holders commits to going solely digital, you're going to continue to see..
Sony's "Play Create Share" platformer just seems perfect for the new handheld, with the multitude of touch interfaces providing new intuitive ways to play, as well as potentially lowering the barrier for level creation too. Tarsier Studios has announced this afternoon that it is developing.. In an interview with Geoff Keighley on GameTrailers, Sanzaru Games president, Glen Egan, slyly avoided the issue when asked about the possibility of the platforming franchise coming to Sony's new handheld.. Regular readers will know we're big proponents of the Sly Cooper franchise, so it's personally very exciting for us to see the franchise make a return on PS3. Despite Sucker Punch not being at the helm, we have every faith in Sanzaru Games. During the game's showcase, Sanzaru president.. It's a sentiment echoed in the developer's interview with IGN. I tried to be as honest as I could up there. I dont exactly know what were doing yet. Ive worked with known film directors who basically were wanting to make a Bioshock movie, and their..
From where we're sitting, it's unfair. Insomniac has been one of the strongest supporters of the PlayStation platform for years, and none of that goodwill should evaporate just because it's going to release a game on the XBOX 360. After all, let's not forget Insomniac's new game is coming to the.. Despite the ambiguity of the announcement, we definitely think there's something intriguing about the Wii U, but we're going to wait for more details before we offer any opinion on the system. What's interesting to us is how Nintendo and Sony's direction is converging. Both companies are going about things in their own ways, but there's a clear.. Seriously though, while Koei might not yet have an official name for its PlayStation Vita spin-off of the Dynasty Warriors franchise, it's got a ton of assets. You can grab those over at VG247. The game makes use of the Vita's touchscreen, introducing a new "Godspeed musou" attack which requires you to tap on enemies to slice them up.. The developer — famous for Odin Sphere and Murumasa — confirmed that the title will release on PlayStation 3 and PlayStation Vita. UTV Ignition's handling publishing duties. The game's pitched as a "dazzling new multiplayer online adventure".. In an email sent out to its "Faithful" mailing list, Atlus revealed plans to localise SNK's PlayStation 3 brawler, King Of Fighters XIII, for Noth American release this "holiday"
The game was originally released last year in Japan, and includes over 30 characters from the SNK fighting dynasty. Don't worry guys, Mai is included. The sequel promises a "rebuilt online mode" for enhanced.. However, an update on Sony's official PlayStation website has revealed a little more about the intriguing title. The game is in development at Sony's Team Siren studio, the group synonymous for the Siren games on PS2 and PS3. The game has.. The action looks sharp and suitably flashy. Similarly, we like the game's visual style. There's even a glimpse of the white-haired Dante that everyone loves. But yes, we're aware of the old adage: "Haters gonna hate". During a live interview on GameTrailers this afternoon, GTTV host Geoff Keighley asked SCEA president Jack Tretton about the title, to which the PlayStation gaffer responded it was "more a question for Rockstar". Pushed on the exclusivity status of the game, Tretton..
At least, it seemed pretty clear to us — and virtually every other publication online. But in a live interview on GameTrailers this afternoon, SCEA president Jack Tretton dismissed a global launch this "calendar" year, stating that the device..
We're picturing lumps of meat at the other end of the Internets, staring blankly at the amazing trailer we've embedded after jump. Seriously, it's more of the game with touch commands tacked on — but it looks beautiful. And honestly, that's all that matters. While we're not overly keen on golf games in general, there's something refreshing about Clap Hanz's ability to accelerate the pace of a traditional slow sport. The gameplay is also perfectly suited to a handheld, allowing you to pick-up and play in short bursts. 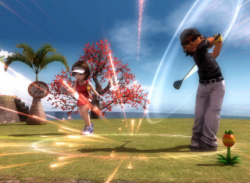 Everybody's Golf on PlayStation Vita certainly looks like more of the..
com</a> are amongst the first UK retailers to open pre-orders for Sony's new PlayStation Vita. Both are currently listing the Wi-Fi version of the handheld for £229.99 and the 3G version for £279.99. Sony announced during its E3 press conference last night that the PlayStation Vita would cost $249.99 (Wi-Fi) and $299.99 (3G) respectively in North America. The platform holder.. The puzzle title — which looks to have been inspired by Nintendo's Brain Training games — includes a number of mathematics and logic puzzles that can be solved using the Vita's unique input methods. However, the game's neatest feature is..
Sony has released the first trailer for Wipeout 2048 on the PlayStation Vita, and it is glorious. The trailer details each of Wipeout 2048's features, and is punctuated by a killer soundtrack. Check it out after the jump. The game's due for release alongside the Vita's launch later in the year. The game promises intuitive touch-screen controls and asynchronus multiplayer modes. Hopefully the tungsten tossing is as satisfying as in the Nintendo DS' Touch Darts. That's still the darts game to beat as far as we're concerned. The PlayStation 3 compilation will include HD remakes of Ready At Dawn's two God Of War prequels: Chains Of Olympus and Ghost Of Sparta. Check out the first trailer after the jump. Theres no question PlayStation Move brings something unique to the table for everyone, said SCEA boss Jack Tretton. The PlayStation Move catalogue is unmatched. Sony demoed a.. Seeing as there are about 814,523,567 other Dynasty Warriors titles available on other platforms, it makes sense to bring the series to PlayStation Vita. Tecmo Koei announced the game overnight, though it is still without a name. 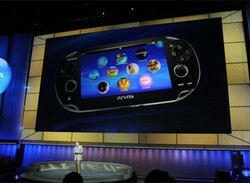 It will make use of the PlayStation Vita's rear and front touch-panels, as well as the device's gyro sensors. The game will also feature a.. Naturally we're going somewhat gaga over the announcement of Virtua Tennis 4 for the PlayStation Vita. Let's not forget how good Virtua Tennis: World Tour was when it launched alongside the original PlayStation Portable. To this day it's one of the best games available for the platform. Virtua Tennis 4 for PlayStation Vita will be the.. It's a trend we hoped would continue with the PlayStation Vita, but Namco representatives shattered our dreams earlier in the year stating that there were "no plans" for a title on Sony's new system. That's changed this morning. Presumably prompted after watching this video, Namco Bandai has confirmed that a new Ridge.. The very end sees protagonist Nathan Drake dangling from a taking-off aeroplane. Uh-huh. The trailer also confirms the reappearance of favourite characters Chloe and Elena — be still our beating heart. We don't.. The package will support 3D and will launch in September. Also due out in September is the Team ICO Collection, the hotly anticipated double-pack featuring Fumito Ueda classics ICO and Shadow Of The Colossus.. But that's not all you get for your money: the 24-inch 3D monitor includes a pair of 3D glasses, an HDMI cable and a copy of Resistance 3. That's some deal. What's more, the television includes some fancy technology that allows split-screen multiplayer games to be played.. In the demonstration Cole looked like he'd spent a few months in the gym, with biceps bulging out of his trade-mark t-shirt. An unexpected but neat announcement, though. 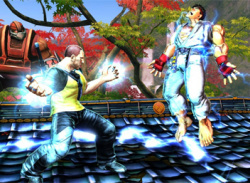 A PlayStation 3 version of the game is also planned, with cross-platform connectivity touted. While the North American list looks slim in comparison to the mammoth Japanese support, it's probably worth noting that all the big names (Bethesda aside) are included. Which is basically what you want for a new platform. Check out the list after.. The long anticipated PlayStation 3 feature will take the guise of an application called "Party", allowing users to communicate using headsets or the Vita's built-in microphone. Players will be able to chat regardless of what games they are.. The co-op adventure will feature both PlayStation Move and 3D support. 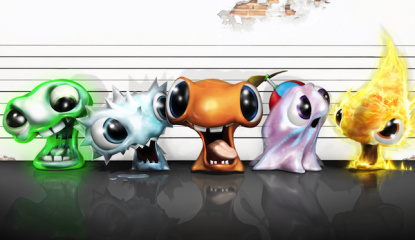 In addition, Sony has announced that an exclusive prequel to the game will be released on the PlayStation Network only. Apparently the team is still working on the implementation, but it will be there at launch. Also confirmed during a bumper series of Bioshock announcements was news that all PS3 copies of Bioshock Infinite will ship with the original game included on the.. The EVE Online spin-off will feature cross-connectivity with the PC/Mac versions, directly influencing your experience on PlayStation 3. 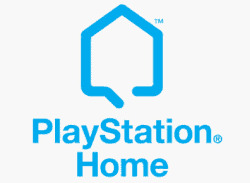 Furthermore, Sony will be extending the DUST universe across PlayStation platforms, including PlayStation Home, PlayStation Move and, at some point,.. It definitely will. Sony has announced that the platforming icon will return to PlayStation 3 this year in a new adventure called Thieves In Time. Sanzaru Games is heading up development duties, with Sucker Punch supposedly hard at work on a new PlayStation related IP. SCE president Jack Tretton revealed that the functionality will allow creators to both build and play levels using Sony's motion controller. Expect more details on that soon. Medieval Moves: Deadmund's Quest is an action game taking full advantage of Sony's motion controller in a whimsical world. Alas, it has nothing to with Sony Cambridge's Medieval franchise. The Move controls appeared to work well in the.. The words "five-hundred-and-ninety-nine US dollars" must still ring in the ears of SCE president Kaz Hirai, but this year he had a different price to announce: "two-hundred-and-forty-nine US dollars". That's the price of the entry.. The dancing franchise will include a range of tracks across a selection of genres including pop, hip-hop, disco and country. Confirmed artists include Gwen Stefani and Katy Perry. There's a trailer after the jump. The game's due out on October 11th. The tropical shooter is in development at Ubisoft Montreal, with input from Ubisoft Shanghai and Ubisoft Massive. Far Cry 3 brings something new and unexpected, while still building upon the foundations of excellence that are inherent to the Far Cry brand, said producer Dan..
As is customary for the series, it's a pretty amazing slice of CGI. We've embedded it above because we're lovely like that. The game's out November 15th. Earlier this evening Crystal Dynamics took to the stage to reveal the first gameplay footage of its upcoming Tomb Raider reboot. The demonstration showed Lara Croft trapped in a capitulating cave while being chased by a shady figure. Clearly Crystal Dynamics has been playing a whole ton of Uncharted, but there's.. It's like warped into a club that we wouldn't be seen dead in. Get us out of here. Touted as a new way for players to connect, Football Club bridges the gap between the real-world sport and the video game. The millions of fans playing FIFA online have shown us there is a constant appetite for a deep connected experience, driven by a love of.. Entitled Overstrike, the c0-op based title looks like a tongue-in-cheek take on the shooter genre — with chunky, cartoony characters teaming up in a colourful world. The game's reveal — shown moments ago at EA's E3 press conference — didn't include any gameplay, but..
After taking a moment to gloat over Call Of Duty: Elite, EA has slapped an October 25th release date on Battlefield 3. That's a couple of weeks ahead of Call Of Duty: Modern Warfare 3's November 8th street date. Accompanied by a stunning gameplay demo, EA also revealed that Battlefield 3 will get a multi-platform beta in September. Those that purchased copies of Medal Of.. The action heavy trailer features plenty of gameplay footage and also reveals a March 6th release date for the game. Definitely looks like Bioware's looking to take the franchise in more action oriented direction this time. Here's hoping the.. There's lots and lots of blood. There are also chunky guitar riffs and people in fancy clothing. Catch the full trailer after the jump. The trailer focuses on protagonist Joseph Capelli, and sets Resistance 3's mood pretty well. Certainly looks like the franchise is making a return to its survival horror origins. Over on NeoGAF, Insomniac community manager James Stevenson revealed that Sony would be showing Resistance 3.. The game will feature playable versions of the classic Amazing Spider-Man and Spider-Man 2099 as the duo struggle to correct a time stream gone awry. Check the trailer after the jump. Just to keep your hype levels tingling, Deep Silver's released an E3 trailer for the game. Catch it above. E3 2011 Magic Pixel Behind Sony's New Dancing Game? According to video game super-sleuth Supererogatory, new development upstarts Magic Pixel are working on a new dancing game for Sony. Remember when the platform holder registered all those Everybody Dance domains last month? According to its website,.. It supports smaller developers getting to grips with the PlayStation hardware, and has an input in second-party development. In short: while Sony Santa Monica might have eight games at E3, not all of them will be developed by the God Of War.. There's a definite sense that the company can't win no matter how they tackle the pricing situation. If Sony don't announce a price then people will assume the new handheld really expensive. But if the company announce a price now and don't release the device until later in the year, then.. The trademarks were spotted on GAF, and were registered on Friday to the Trademarks and Designs Registration Office of the European Union. There's really no point debating it anymore: Vita is almost certainly going to be NGP's final.. The report claims that it will be a "new 3D adventure," presumably hinting at stereoscopic support. God Of War III released last March on PlayStation 3. While we'd be stoked over a new God Of War featuring..
E3 2011 What's Happening When? Rumour DUST 514 To Be A PlayStation 3 Exclusive? Kotaku reports that one fan went digging through the countdown page's source code, only to happen upon a set of new screenshots for the game with PlayStation branding. The images have since been removed,.. The E3 trailer is an entirely CG affair, depicting Umbrella troops tracking a lone soldier into an abandoned warehouse. Naturally that warehouse is packed full of the undead. We like the vibe of the trailer, but we're not sure how well it's going to transition into gameplay. We love the Resident Evil universe though, so..
A post on NeoGAF appears to show the release listings from an Australian retailer, revealing a handful of unannounced games for the rest of the year and beyond. A number of the games listed are entries in massive franchises, including Grand Theft Auto V and Resident Evil 6. Both games are due out in 2012 according to the retailer's schedule. Other notable appearances..
Not content with pushing out Resistance 3 and Ratchet & Clank: All 4 One this Fall, the developer has also been hard at work on its brand new multiplatform project. According to the studio's Twitter account, that title will be announced at tomorrow's EA press conference. "We are excited to reveal our.. It starts off decent enough, with the terrible over-produced FMV we've come to love from the Twisted Metal franchise. Then it gets better with the introduction of Sweet Bot. But that ending, man. That ending. We're going to recommend you sit and..